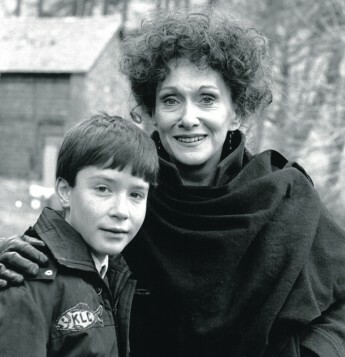 Knowing I was going to be interviewing Sian Phillips, I dipped into her two-volume autobiography Private Faces (1999) and Public Places (2001), the first dealing with her sickly yet high-achieving childhood, family and growing up in the Black Mountains of south Wales, the second mostly with her tempestuous marriage to, and acrimonious divorce from, Peter O’Toole. What strikes you about the O’Toole years, apart from the author’s extraordinary candour, is how such an outwardly confident, feisty and talented person, who knew from an early age what she wanted to do, allowed herself to be held back and humiliated (her own word) by O’Toole for 20 years. Looking after him and their two daughters, Kate and Pat, as well as homes in London and Ireland, took up the bulk of her time, and prevented her, as she says, from “doing a lot of work I should have done”. Amazingly, given the sacrifice, Public Places is not in the least a bitter book, nor an act of revenge. It is instead a fair-minded, objective account of a rollercoaster marriage to a man who, quite soon after they wed, became one of the world’s most bankable film stars. In the purist sense, it was probably a self-help book in an attempt to work out her own feelings about O’Toole and the hold he had over her. 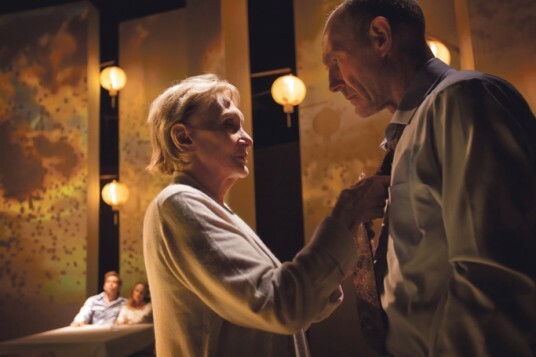 In the two and a half decades since she gave up on marriage (she was married to the actor Robin Sachs for 10 years after O’Toole), Phillips hasn’t stopped working on stage, on screen, on the airwaves, not to mention in print, though she assures me the publishing world will have a long wait for her first novel. These were the days of hierarchical theatre, when inexperienced youngsters only spoke when they were spoken to. 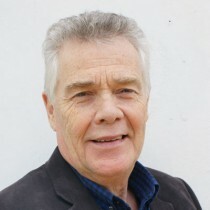 Phillips was referred to throughout by Evans, who claimed to be poor at remembering names, as “mother-of-two”, perhaps not the best basis for a working relationship. Would she ever proffer advice to a young actor now, if invited? “No, I’d never presume to tell a younger actor anything. I tried teaching and I was hopeless. My daughter, Pat O’Toole, teaches and she is terrific, but I was a rotten teacher. When you see somebody really good, you don’t know if it’s the training, or just that they are naturally gifted. I can’t ever tell. 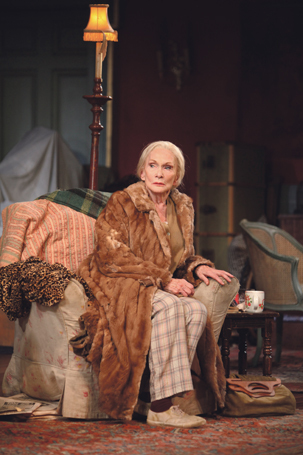 For Sian Phillips, though physically striking, the voice always came first – rich, mellifluous, Celtic-sounding, deeper and huskier as the years went by. She won the speech and drama prize at the National Eisteddfod of Wales aged 11 in 1944, appearing with her best friend. She knew at the time it was “a significant step forward on my chosen path”. She went on to win it three times more. Fearful that she might not be tough enough to face the rigours of a career in the theatre, Phillips began training herself to survive “a perfectly miserable life of privation” if she had to, by sleeping on her bedroom floor and eating smaller portions than usual. She observed in her memoir that she felt as if she were training to be a nun. Singled out as a future star, the 15-year-old Phillips was assessed by the great Welsh actor Hugh Griffith as being eligible for a scholarship to RADA at 16. Her parents had other ideas, insisting she put her acting ambitions on hold until after university. All through her English degree at Cardiff University, she continued working as a part-time announcer and newsreader for the BBC, as well as acting on tour with a Welsh-speaking theatre company, dashing off essays on Beowulf and the like between shows. 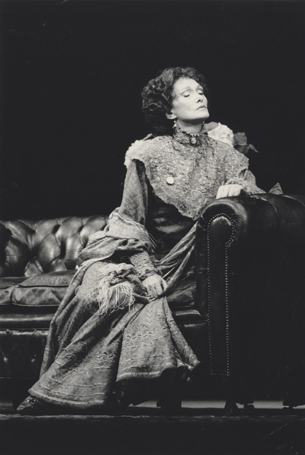 By the time she finally got to RADA in 1956, aged 23, Phillips was already an experienced professional with many admirers. 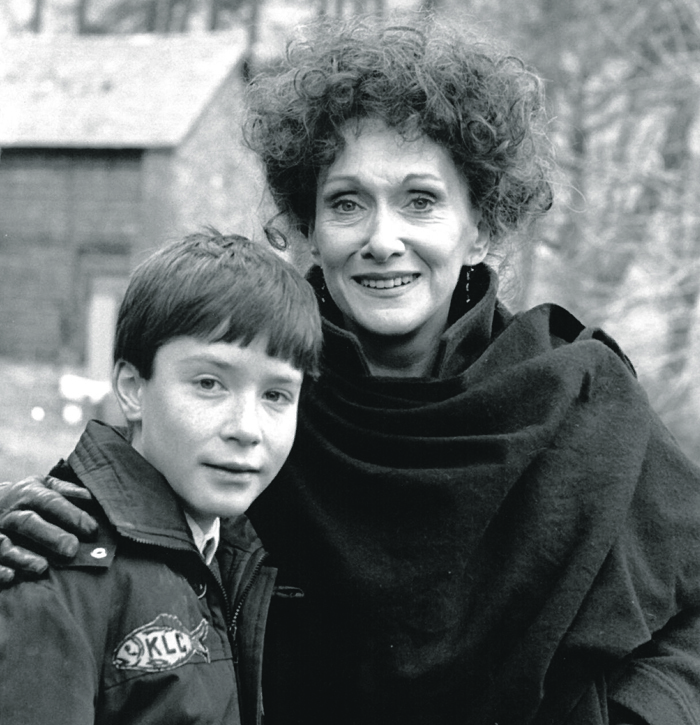 Winning the Bancroft Prize, the school’s top acting gong, appeared to set the seal on her future. 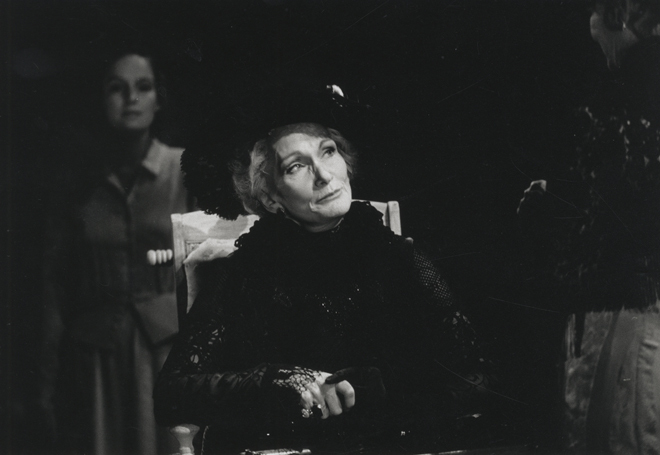 Within 18 months of graduation, she had played Saint Joan and Hedda Gabler, to some acclaim. Falling under the spell of O’Toole more or less brought her brilliant career to a shuddering halt. It wasn’t so much that he stopped her acting (though she claims in her memoir he sapped her confidence) as that she felt eclipsed by his meteoric rise to stardom. So the last 25 years have been spent making up for lost time, and demonstrating, unwittingly I’m sure, that age is not necessarily a drawback to the older actor who is determined to keep on working. Neither is she averse to stepping out of her comfort zone in order to broaden her professional horizons. 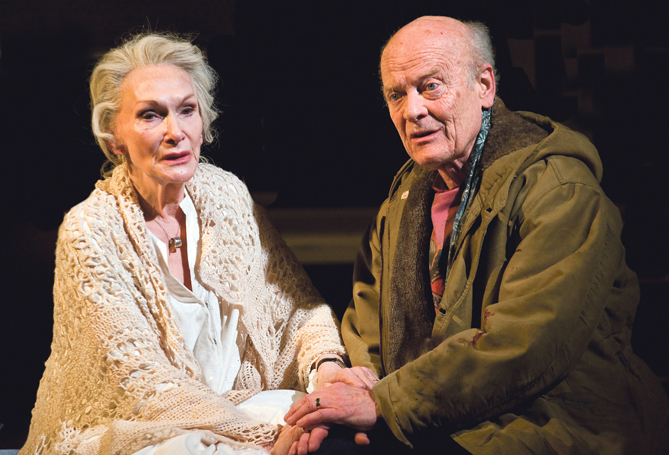 In recent years, she has played Shakespeare’s Juliet in Tom Morris’ radical reworking of Romeo and Juliet – renamed Juliet and Her Romeo (2010) – in which she and Michael Byrne played the star-crossed lovers in a care home, with their respective families becoming disapproving children rather than parents. Charles Spencer, reviewing it in the Telegraph, described it as “very funny and often deeply touching”. It is set one afternoon backstage at a theatre in Paris. Dietrich is preparing for her performance, with her young assistant and dresser in attendance, trying to summon the energy to dazzle another audience. Phillips researched the role assiduously, listening endlessly to her records and watching footage of her cabaret and concert work. “Her acting and phrasing in all her songs was just remarkable,” she says. Though they never met, Phillips did see her on stage towards the end of her career, and was impressed by the “fantastic power” she exerted over the audience. What was your first non-theatre job? Announcer for BBC Wales. 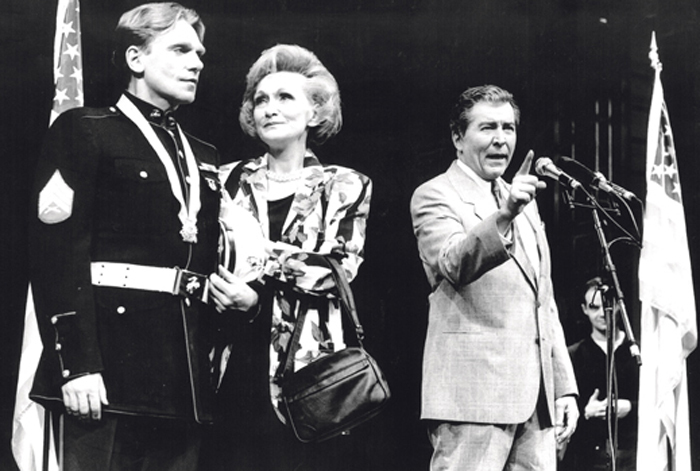 What was your first professional theatre job? Uncle Vanya (in Welsh) for Arts Council Wales. What is your next job? Les Blancs at the National Theatre. What do you wish someone had told you when you were starting out? That acting would get more difficult, but, at the same time, more interesting and more fun. Who or what was your biggest influence? Michael Redgrave. What’s your best advice for auditions? I’ve only done three auditions in my acting career, so I’m the last person to ask. Do you have any theatrical superstitions? Yes, a lot, but I can’t tell you what they are. Director Sean Mathias remembers working with Phillips on the show: “It was the role of a lifetime. She was extraordinary in it, audiences were enthralled. It was very much a collaboration, always making changes, evolving, over three or four years. When we were on tour, she’d eat a lorry driver’s breakfast. She fuels up and off she goes. She is a juggernaut and you can’t stop her. 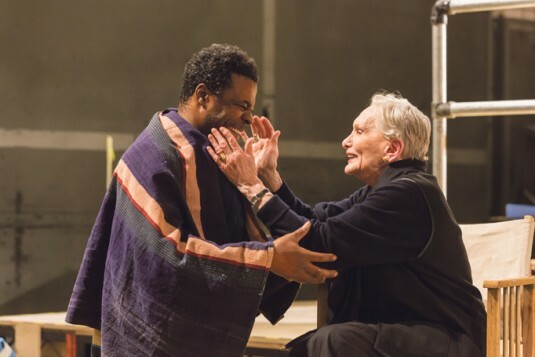 The play that brings her back to the National now, Les Blancs (1970) by Lorraine Hansberry, best known for A Raisin in the Sun, is revived by the award-winning South African director Yael Farber of Mies Julie fame. 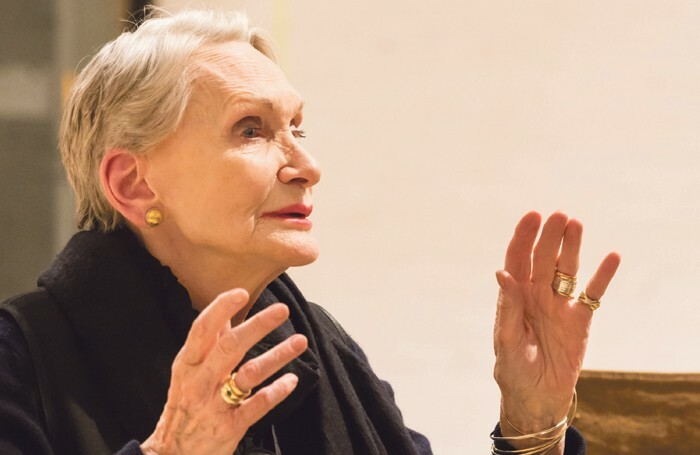 It will be a marked contrast to playing the haughty Lady Bracknell, which she has been doing on tour for the past two years with Nigel Havers and Martin Jarvis, directed by Lucy Bailey. Once again, it was a different take on a classic – in this case, The Importance of Being Earnest – the premise being that a bunch of squabbling amateur actors were still playing roles far too young for them. Writer Simon Brett provided the material to facilitate this conceit. Dear West End Producer: Is it imperative that all musical theatre performers are able to dance?